toll-free or Email us for personal assistance or for items you cannot find. Please call 1-800-383-4925 or email us at info@mapleleafpromotions.com to Order or Inquire, or Order Online . 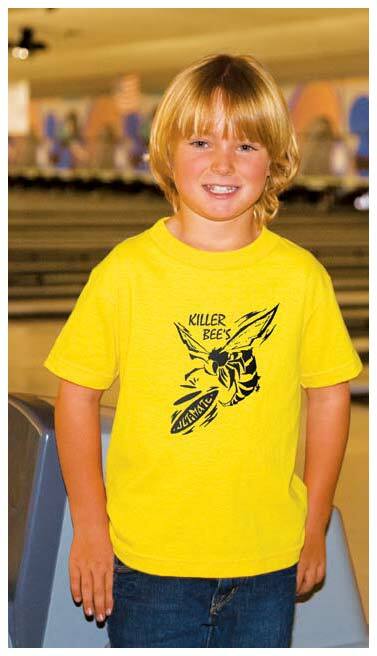 Bulk juvenile t-shirts, sizes 4 to 7, personalized with your logo. Budget Prices in the USA and Canada for customized juvenile t-shirts. Free artwork design. American clients pay no taxes. Our Juvenile T-Shirt is made from American cotton harvested in South Carolina. Our brand of Juvenile T-Shirt is Alstyle. It is also purchased by Nike, Roots, Reebok, Tommy Hilfiger and other well-known retailers. 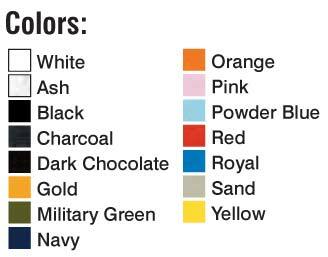 The Juvenile T-Shirt colors are solid, not see-through (this applies to white Juvenile T-Shirt as well). We can imprint the Juvenile T-Shirt in up to 6 silk-screen colors or in full color on either front, back, breast or sleeve. Please contact us for more info. Typical Production: 7 days after art approval. • 100% NORTH AMERICAN MADE! • Lowest Price With The Best Quality! 6.1 oz. Cotton Tubular Jersey. 100% Preshrunk Cotton. Double-needle bottom hem, Shoulder to Shoulder Tape. Machine Washable. Pre-shrunk to minimize shrinkage. Sizes available: 4, 5, 6, 7. Unit Prices below include the juvenile t-shirt and your 1-color custom imprint in one location. Add the amount shown for each extra imprint color, per location.